SHANGHAI, Jan. 1, 2015 - Photo taken on Jan. 1, 2015 shows the scene of a stampede that caused casualties among people who took part in new year celebrations in east China's Shanghai. 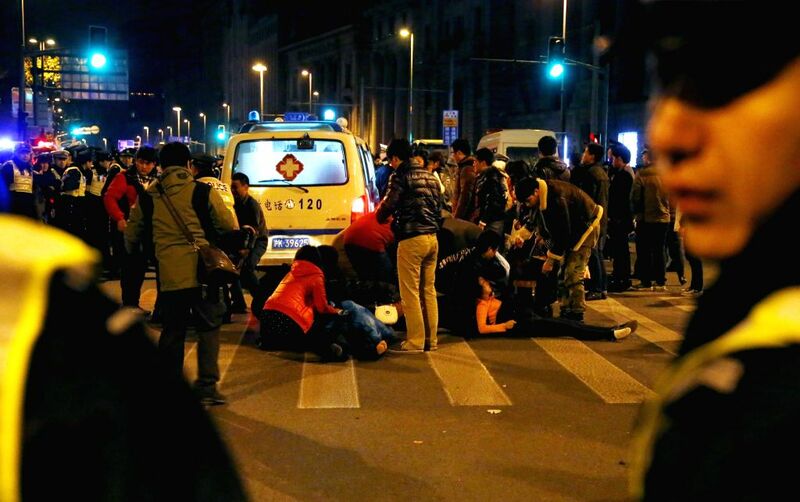 New Year celebrations in Shanghai's bund area went astray Wednesday night as a stampede resulted in 35 people dead and 42 injured. The city has set up a working team for rescue operations and to deal with the aftermath. Cause of the accident is under investigation.